WooCommerce Lookbook is a professional plugin, allows you to create realistic lookbooks of your products. Help your customers visualize what they purchase from you. 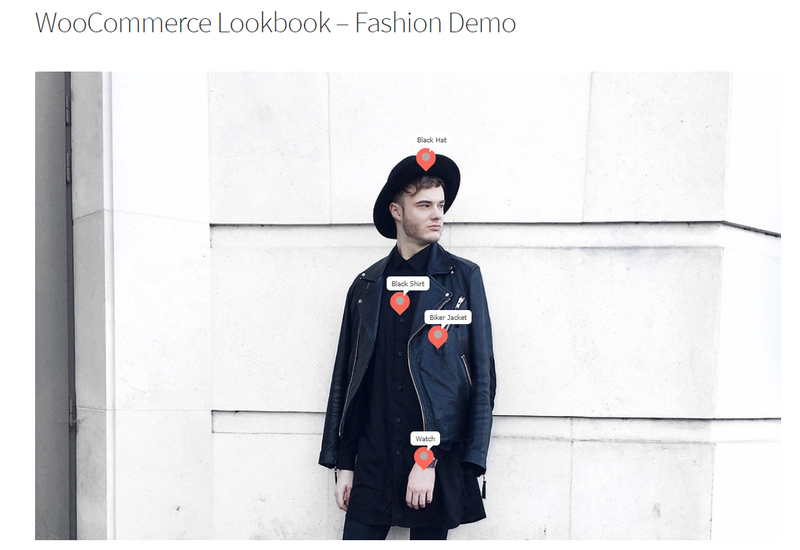 Lookbooks: Create unlimited lookbooks with pictures and your WooCommerce products. Nodes: Use nodes to marks products on pictures. Instagram: Sync photo from Instagram to create lookbooks. Shortcodes: use shortcode to put your lookbooks or sliders anywhere you want on your site. Quickview: display product names, price, short descriptions on a pop-up right in lookbook/slide. Lookbook in single product page: Automatical display lookbooks which included the product in its own product page. Redirect to single product pages: Select to display quick view pop-up or redirect to single product pages when clicking on nodes. Redirect to external link: Select to redirect to external links with External/Affiliate products instead of opening single product pages. Design: WooCommerce Lookbook can be fully designed, and can fit with any theme/website. Automatically update: Use Envato purchase code to enable auto-update. You can update the plugin whenever there is a new version right on your dashboard. After successful activate the WooCommerce LookBook plugin, go to Dashboard/Lookbooks to start using the plugin. Click Add New to add a new lookbook. Click Add Image to upload lookbook pictures. Click Publish to publish your lookbook. Click on Add Node to add a new node. 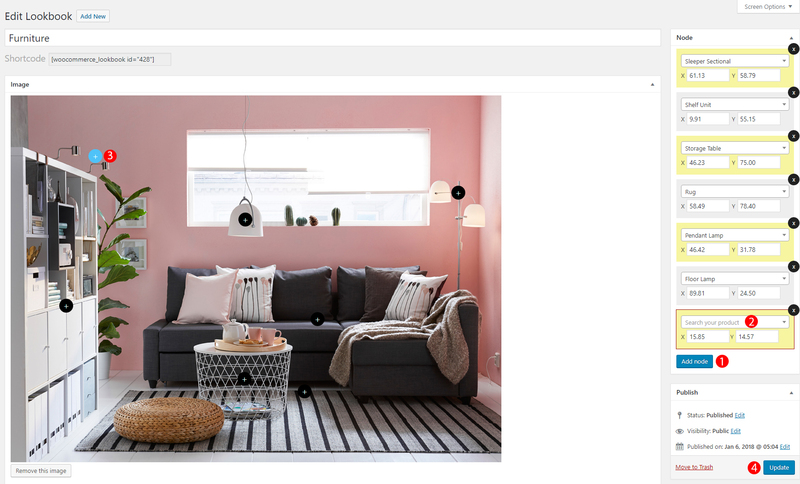 A new node table will appear, click on Search your product to find the product you want to add to the lookbook. Hold your mouse on the blue dot and drag/drop it to move the node to the position of the product on the lookbook. Click on Update to save your settings. Copy this shortcode to paste lookbook to anywhere you want on your site. You can change the shortcode into [woocommerce_lookbook_slide id=”x,y,z”] with x y z is page id of lookbooks to show the 3 lookbooks as a slide. 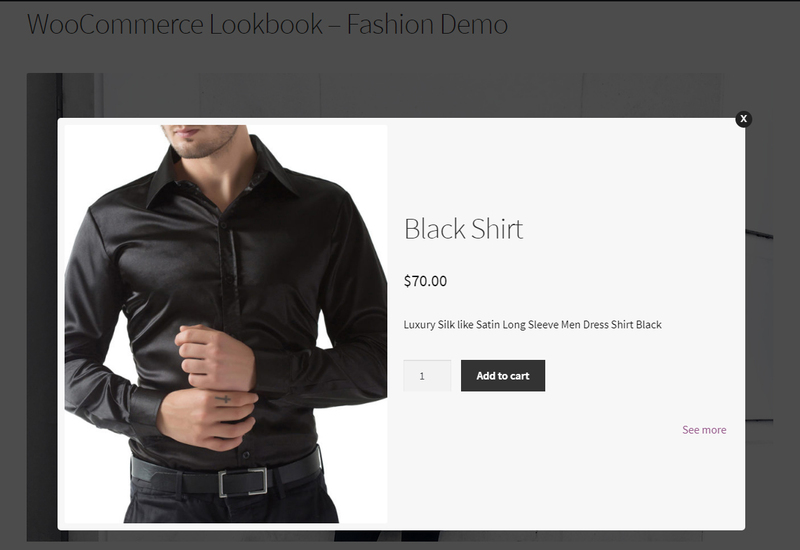 WooCommerce Lookbook will appear on front-end as a picture with nodes which locate products. When clicking on a node, a pop-up will appear with product information. 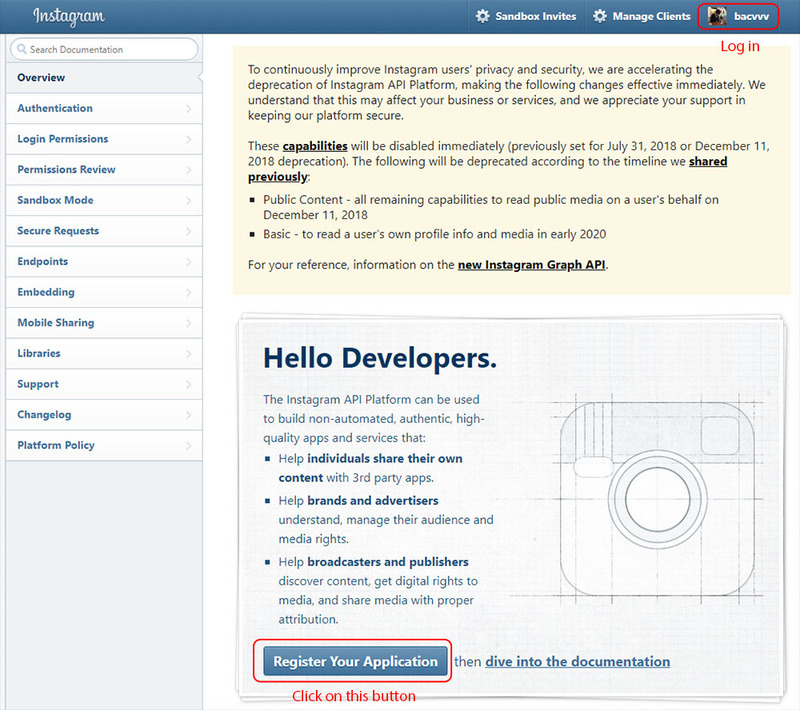 To get this necessary, please follow this guide to sign up for an Instagram developer account. 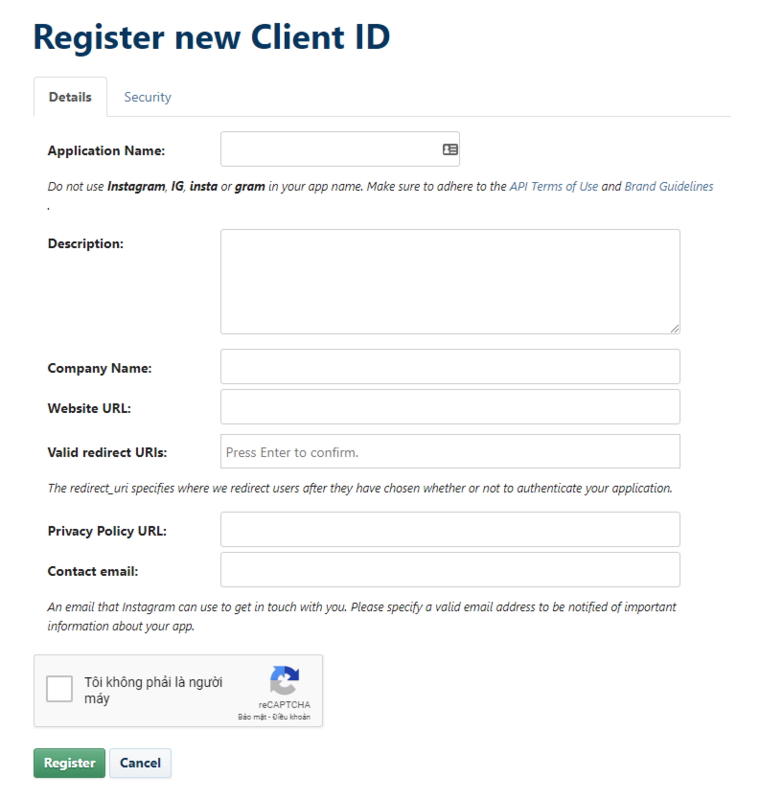 In next step, you need to fill in some information. Select the icon of the node, there are 3 available options. Add your own CSS to design the look as you want. Link Redirect: If this option is enabled, clicking on nodes will redirect the page to the single product page. 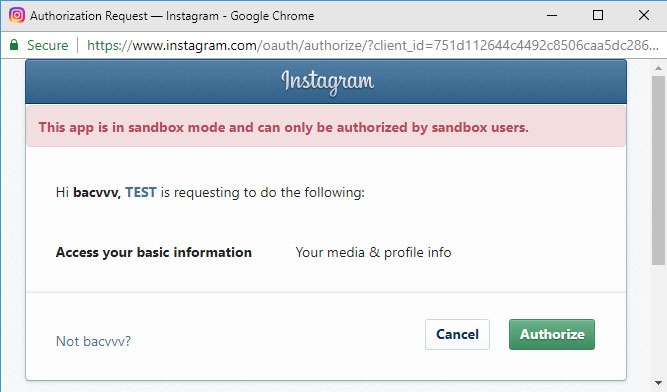 External Link: If this option is enabled, clicking on nodes will redirect the page to the external link. This option only works with External/Affiliate products. 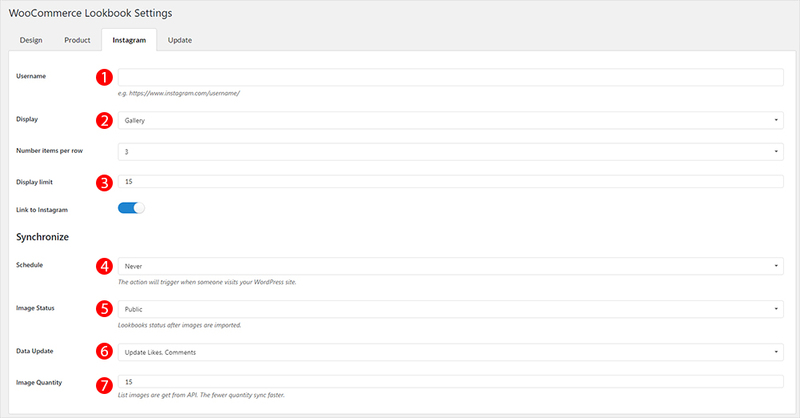 Fill in your Envato purchase code to auto-update the lookbook plugin right in your Dashboard. Go to any single product page to configure lookbook on the page. Tick to display lookbook on the single product page. Select to display single lookbook or combine lookbooks as a slide.